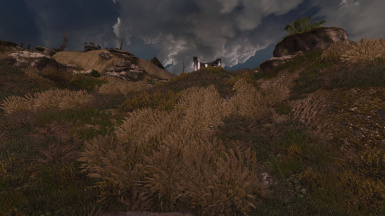 Mod overhauls the grass in oblivion. Patches some textures and meshes. Fixed grass in the imperial city. 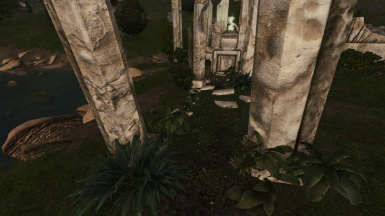 New plant meshes (not harvestable plants, just static plants). 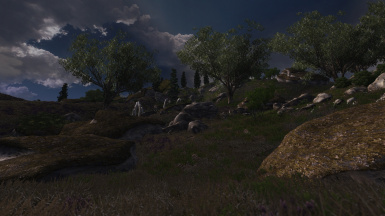 More Landscape textures and accurate landscape LOD. Added new textures and meshes to replace ones from previous versions. 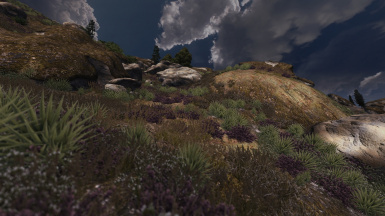 Better Gold Coast LOD terrain textures. Better terrain textures/better colour's to match grass. More fixes included with esp file. Updated all ground textures, some allow for alpha blending. Added more variety in models and textures pathing. Fixed more bugs and added more grass in areas that had non with the esp. Fixed a mesh that had stretching. Textures will be alpha blended soon. 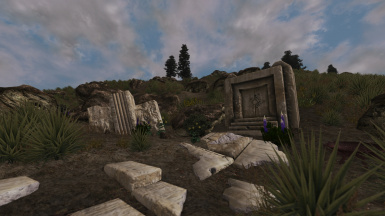 Adds flowers and updates other textures. Fixed some textures that were stretching. Bundled patch with main file. Fixes stretching with ferns in the Great Forest Region. Completely organized textures, contains all needed files and deleted normal maps for they were empty and do nothing. Includes areas with missing grass to contain grass (through the esp). Adds a lot more grass textures. Add new texture for "fern05". Darker Cold Coast added by default. Adds more variation of ferns and seaweed. Darker Gold Coast Grass (Optional). Enhances all the ground textures from before. Reduced file size by 40%. 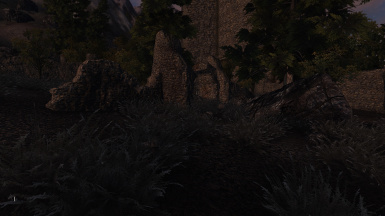 Changed brightness level of ground textures around the Heartlands region. 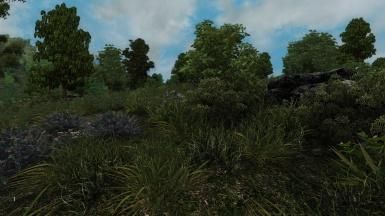 Incase people are wondering what this mod does, it replaces the grass in game with higher quality models, and also makes the ground textures and LOD terrain textures match the same colours that the new grass textures provide. THE NEW VERSION INCLUDES COUNTLESS CHANGES AND UPDATES THAT ITS IMPOSSIBLE FOR TO REMEMBER EVERYTHING I HAVE DONE IN AN YEAR. ONE THING I WILL SAY IS THAT THE ESP FILE IS MORE IMPORTANT NOW THAN IT EVER WAS. IT IS STILL OPTIONAL BUT YOU WILL BE MISSING OUT ON SO MUCH STUFF THAT IT DOESN'T DO THE MOD JUSTICE. 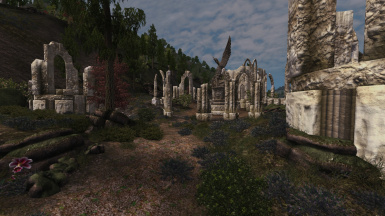 THIS INCLUDES 20 NEW MESHES THAT ARE ADDED VIA ESP, TEXTURES FIXES AND AT LEAST 3 DIFFERENT GROUND COVERS FOR TEXTURES THAT DID NOT CONTAIN GRASS IN EVERY REGION IN CYRODIIL AND THE SHIVERING ISLE. IF YOU ARE CURIOUS IF THE ESP WILL CAUSE ANY INCOMPATIBILITIES, TEST THE MOD OUT NEAR CITIES AND UL AREAS TO SEE IF THERE IS ANY TERRAIN TEARING. IF YOU DISABLE THE ESP, YOU WILL STILL GET TO ENJOY ALL THE NEW GRASS IN THIS UPDATE THAT REPLACES THE VANILLA TEXTURES AND MESHES. THANK YOU FOR THE SUPPORT. 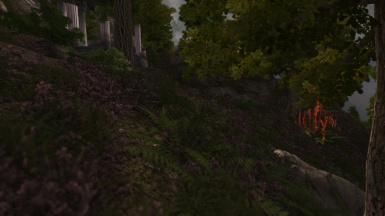 If you are having issues between Grass Overhaul and better cities (leyawiin), download this mod: http://www.nexusmods.com/oblivion/mods/47880/? If you are having issues with ULimperialilse and Grass Overhaul, the mod contains a separate file to fix those issues. If using a lot of mods, a pretty decent Graphics Card. Backup your plants and landscape folders in Texture and Meshes folders. Then move the Textures and Meshes folder from this mod into the Data files. Esp is optional but if that is also moved then activate that in the Launcher. The esp isn't needed for the mod to work. All it does is add more grass in places. If there are any compatibility issues, remove the esp, the grass will still look awesome! 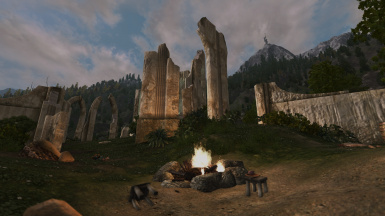 If you are using roads of Cyrodiil, move that ahead of grass overhaul in the load order to avoid any conflicts (thank you monkeyangie). Delete the esp, The Landscape folder and plants folder in the Textures folder and Plants in the meshes folder. Then restore your original files that were said to be backed up.